There is a tremendous amount of responsibility that comes with making recommendations for our aging in place clients and then in executing and completing the project so they can enjoy living in their home even more than they currently do. We should not be deterred or at all frightened by this level of responsibility but welcome and embrace it. Without our help, our clients are not going to be getting what they need to remain in their homes more effectively and productively. We want and need to create a friendly, safe, accessible, comfortable, and convenient living space for them where they can live securely and confidently over the coming years. 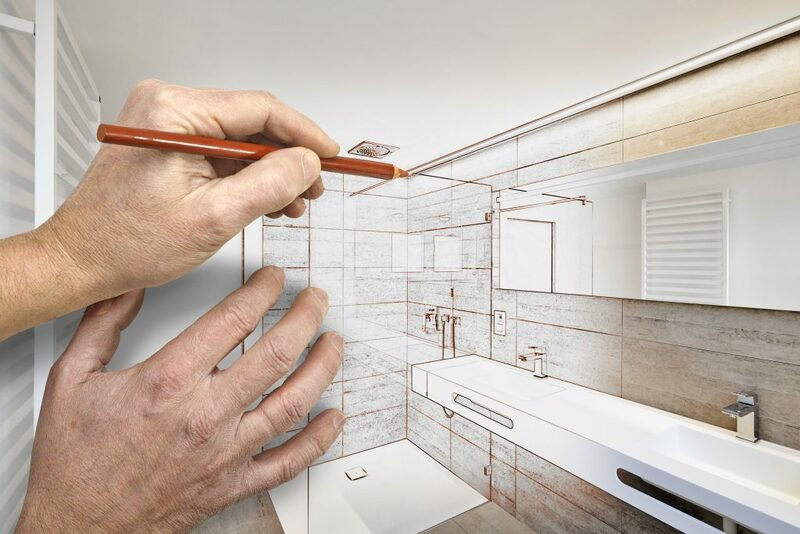 We will create a solution just for them based on what we determine their unmet needs to be and within the physical parameters of their floor space and construction details of their home. This specific proposal is not a copy of any other we have done but one specifically for this client, their home, their needs, their timing, and their budget. In doing our assessment of the physical parameters and characteristics of their home and their physical requirements, we will determine a course of action to provide for what they need. We will take a steady, deliberate approach. Nevertheless, being deliberate means being conscientious – acting with authority but with sufficient caution that we are proceeding at an appropriate pace. We don’t want to rush our recommendations – we might miss something or fail to consider an important aspect of our client’s home or their physical needs that we should address in a design solution. On the other hand, we don’t want to be so careful that we are slowing down the process and doing a disservice to our clients. Time is of the essence because every day that our clients are without a solution that will help them is another day that they could risk injury. Haste makes waste, but being overly particular about what we want to recommend can dramatically slow down the process to the point that our clients lose interest in proceeding with the project or become impatient about getting started. It’s a fine balance, but we need to move the process forward in a diligent way. There is a good reason to be deliberate in what we do – taking care to make sure our project, proposal, or presentation is done well and done right, and that all of the important factors affecting the design have been considered and taken into account. Avoiding mistakes means a quality work product and satisfied customers. However, being so careful that we are afraid to act or being overly concerned that we are presenting a solution to our clients that could be even better if we waited a little longer to share it with them or if we investigated even more products for them can bog down the process. Our clients often don’t have the luxury of time. They need results now. The longer we wait to respond, the longer they are without the solutions they seek, and the longer they are at risk of living in a home that may be creating mobility hazards for them. We want to be conscientious and deliberate in reviewing their home, learning what their needs and desires are, and coming up with a solution that respects their budget while giving them what they want and need in a design. Approaching our work in a deliberate way means being thoughtful and decisive. It doesn’t mean that we have to be inordinately slow or overly careful to the point of creating consternation in our clients for our lack of responsiveness. The proper amount of diligence will achieve the desired results when we know what we are doing and we are sure that we have properly determined what the clients need as well as what is recommended for their situation. We also want to make sure that we have allocated the proper amount of time to do the job right – the first and only time. We don’t want to do the work again or come back later to make it right, and our clients don’t have the time or money to wait out our mistakes. They are engaging us for the solutions they seek so we must have the confidence to deliver them in a deliberate but timely manner. We are disrupting their home and their lives to complete the project for them – as necessary and beneficial as it is – so we want to keep this intrusion into their daily routines to a minimum. Moreover, there are no apologies necessary when the work is done right.